What a great day! It’s 50 degrees here in Connecticut which feels like it’s summer weather. Despite only getting four hours of sleep last night because my tiny human loves to see me all hours of the day, I’m in a great mood! The first book in my Realm of Camellia series has an official new name, and an official release date! 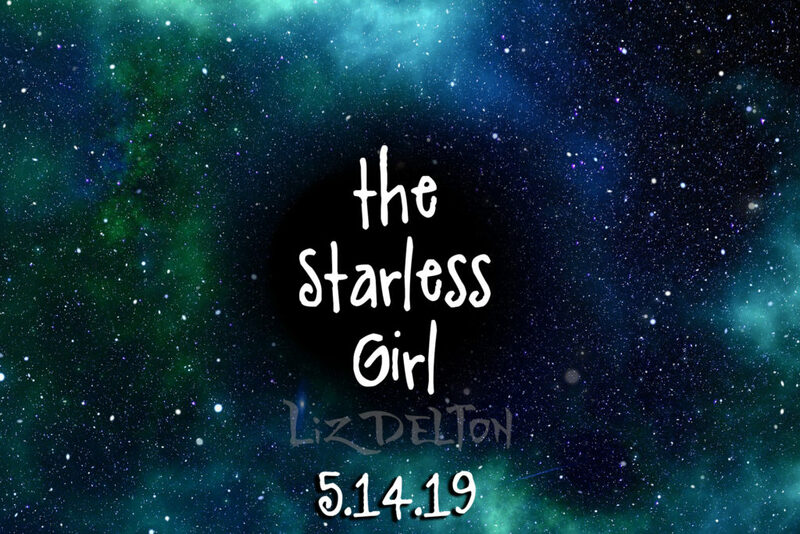 The Starless Girl, through Limitless Publishing, will drop on May 14th, and will be available for pre-sale on May 4th. To gear up for the release, I’ve opened a reader’s group on Facebook. 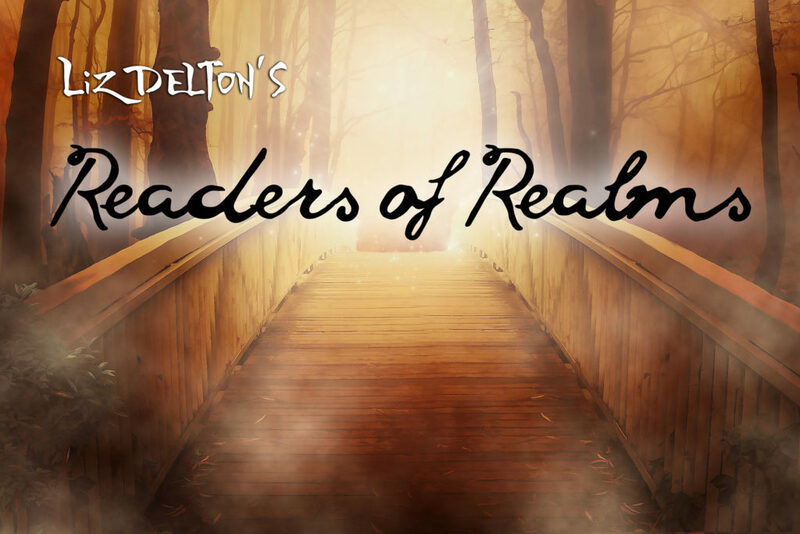 Join for exclusive content and be the first to find out updates on all of the Realm of Camellia books. I’ve also got some giveaways in the works. 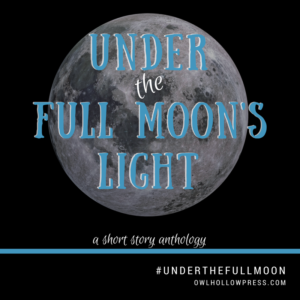 This anthology will explore stories that all feature the full moon, and I’m excited to be a part of it! 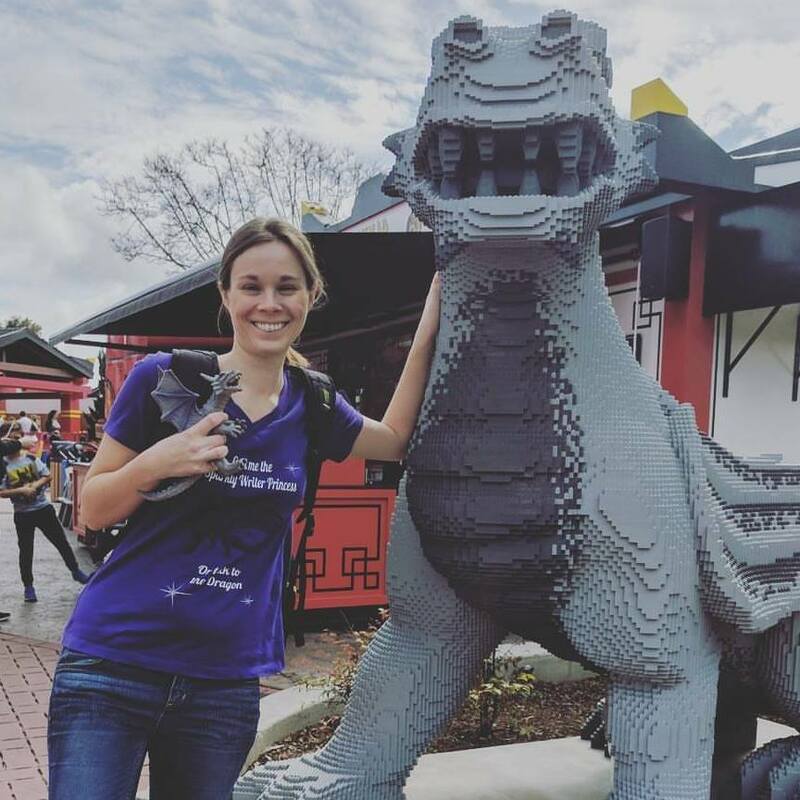 I normally don’t write short stories, but decided to take a break from my current works in progress–and I’m glad I took the chance! 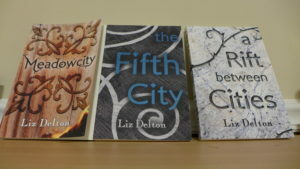 It was a much different process for me, since I’ve grown used to writing stories that are parts of series. 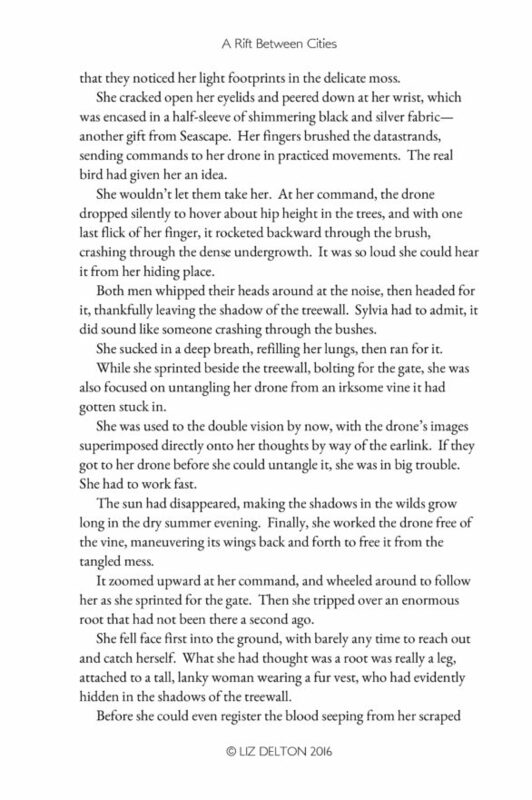 It was a fun process, and I think I’ll keep writing short stories now! More info coming soon on the anthology! 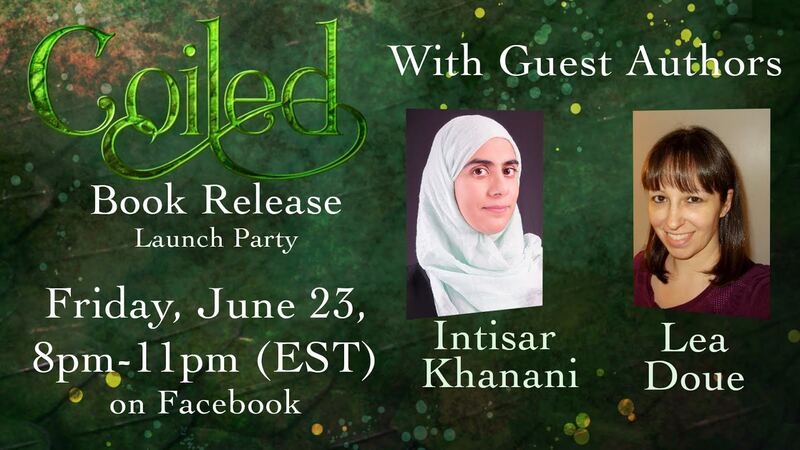 Welcome to the first stop on the Coiled Blog Tour! We’ve got some great stuff leading up to the Coiled release! Seven stops on this blog tour contain special Scavenger Hunt Clues, presented by #TheodoretheDragon and #PistachioSnek. Look for a photo of either or both of those little guys holding up a note. Each note is part of our secret phrase. When you have all seven pieces of our secret phrase click here and tell us. 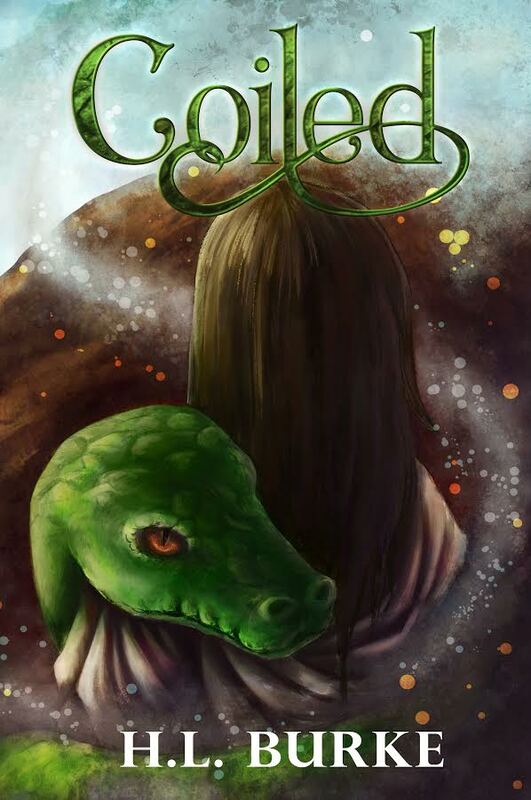 All correct entries will be put into a random drawing for a signed paperback of Coiled. The winner will be drawn at our Facebook party on June 23rd. When did you first come across the myth you based Coiled on? I first read variants of this story probably in middle school when I was going through all the fairy tale books my local library had to offer. I’d go to that section and seek out books that had stories with unfamiliar names because I didn’t really want to read another version of Cinderella or Snow White (though if I could find one with different details, like the older version where Cinderella’s stepsisters got their toes cut off, that was great). The thing is, Eros and Psyche is one of those stories that has been retold by multiple cultures. East of the Son, West of the Moon had a public radio story time version that I really liked when I was young, so that might’ve been my earliest exposure, and of course, I read the C. S. Lewis version, Til We Have Faces, in high school. I like a lot of the concepts, the falling in love sight unseen, people changing into monsters/animals, the redemptive quest at the end. Of course, there were other aspects I really wanted to change, so it was nice to play around with that. 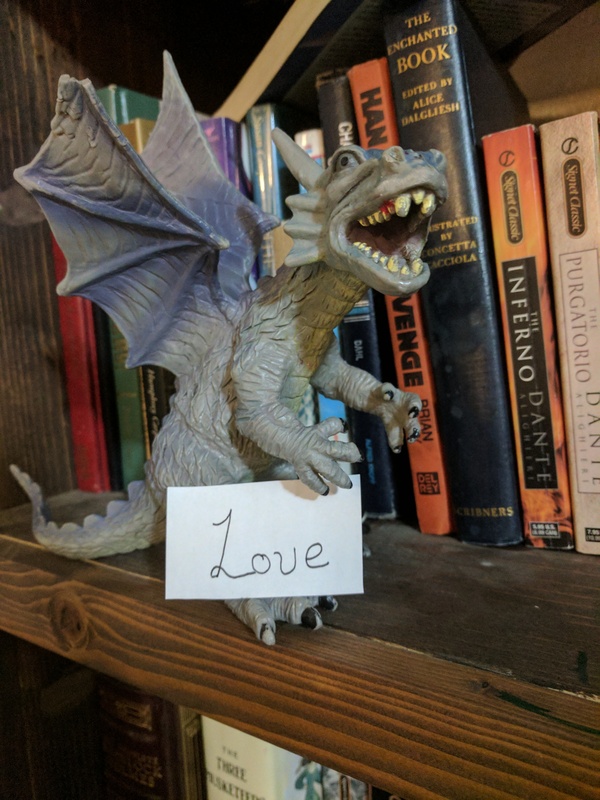 Besides Eros and Psyche, do you have any other favorite myths or tales? As mentioned above, I’m a huge fan of slightly obscure fairy tales and mythology. People turning into animals is a favorite, so I think stories like The Blue Bird or The White Cat. When writing, was it harder, or easier (or the same) to have the myth as your reference? Did you do anything differently than when you wrote your other books? Hard to judge. The myth gave me a really good starting point, but about the middle of the myth, there were some things that I didn’t feel worked for the story I wanted to tell, but because of the myth, I spent more time than I should trying to make them work than I might’ve otherwise spent on an idea that didn’t click with my vision. Freeing myself from absolute adherence to the outline allowed me to finish the story and tell the story I wanted to tell. However, the original myth did give me the inspiration for the world being Greek inspired. 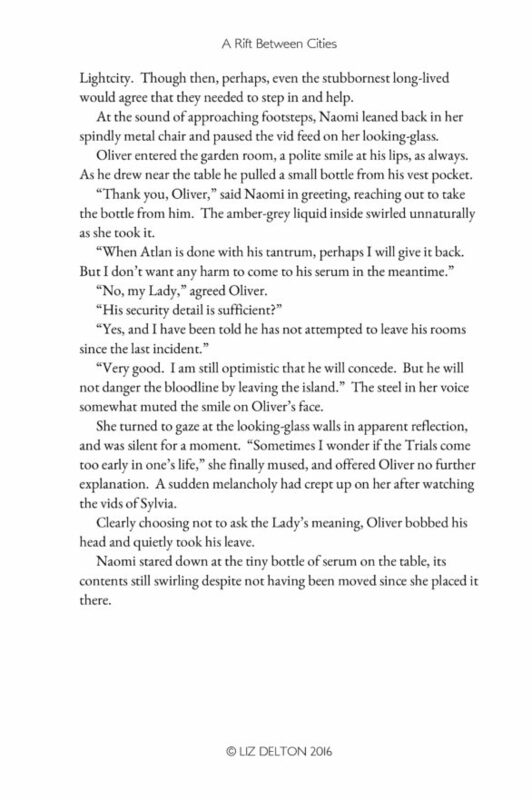 Originally I’d planned to place it in a world of castles and knights, you know, typical fairy tale fare, but diving into the older origins of the story definitely took the world in a more interesting direction, for me anyway. Plus Greek gods are all sorts of fun. 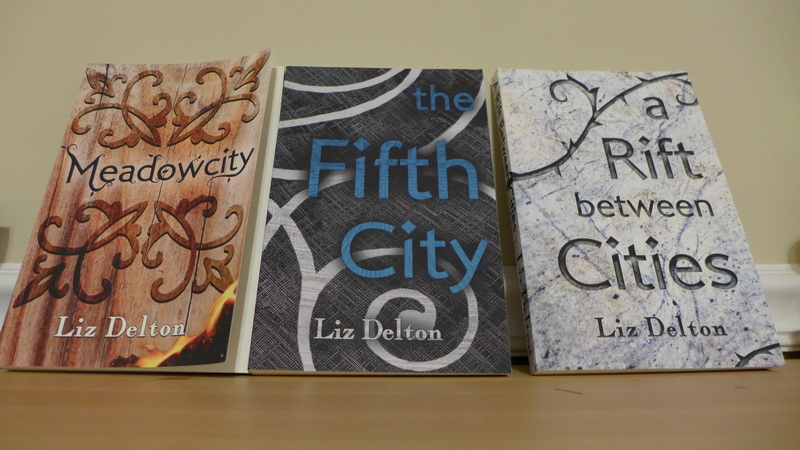 Have you considered doing any other retellings? I have no definitive plans for it, but you never know. 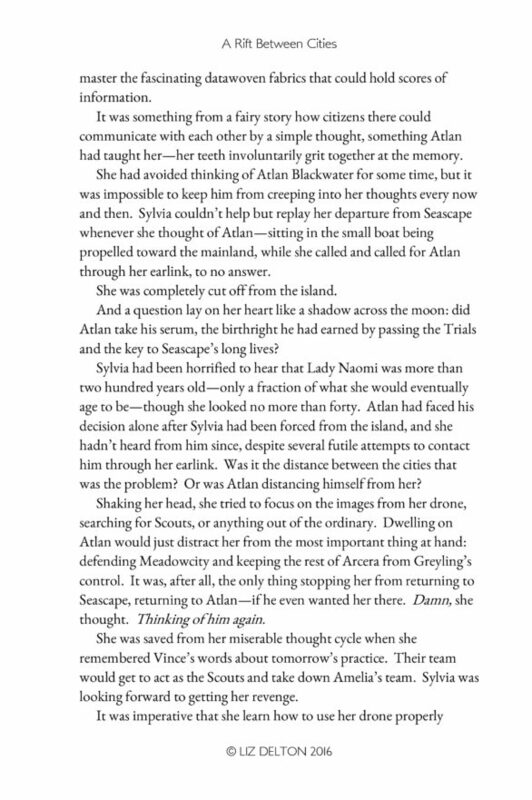 Honestly, this is the one fairy tale I’ve always wanted to tackle, and now that I have, I think the retelling bug is out of my system. 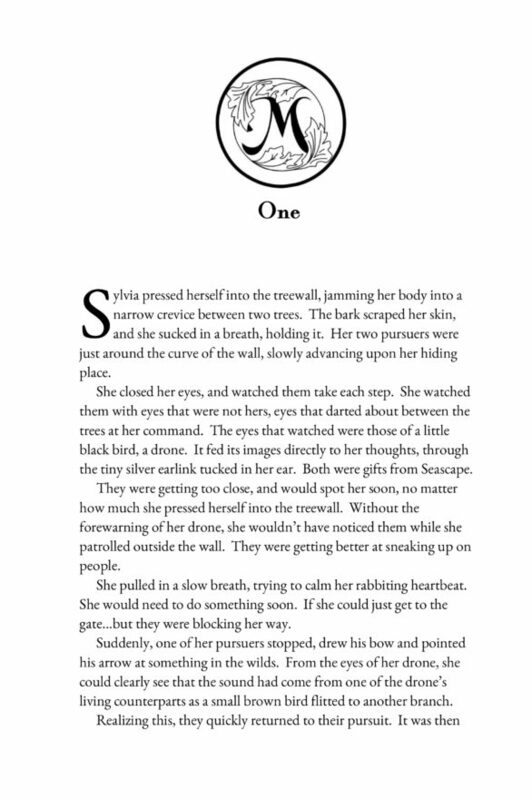 I have done some short stories inspired by fairy tales. I have a Steampunk version of Pandora’s Box (another Greek myth. I grew up on those. 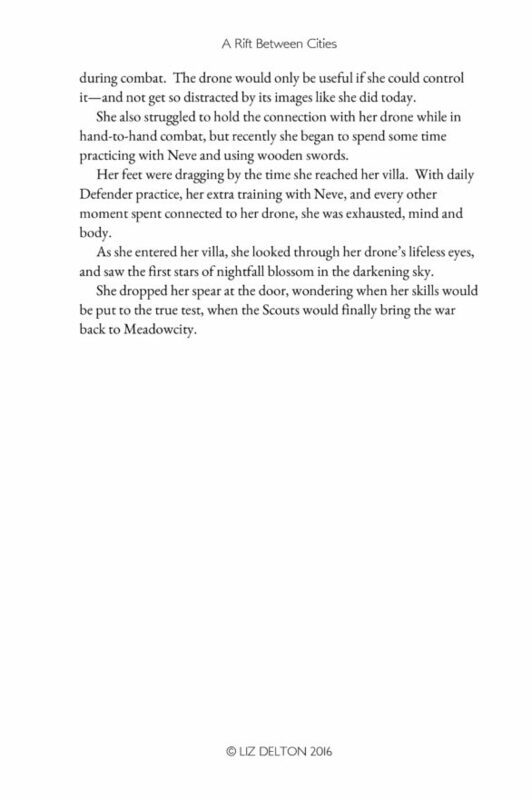 I recently bought my daughters the same Greek Myth book I pored over as a kid and can’t wait to share it) in an anthology of Steampunk fairy tales and I have written a story inspired by the Minotaur legend for an upcoming Fellowship of Fantasy anthology (you can find information on that here www.fellowshipoffantasy.com). If I were to do another retelling, it would probably be either the Blue Bird or the White Cat, just because I haven’t seen them done yet (they probably have been because everything has, but not to the extent of say Cinderella or Beauty and the Beast). I can’t wait for the release of this great book–I’ll be putting up my own review of it on the 15th! 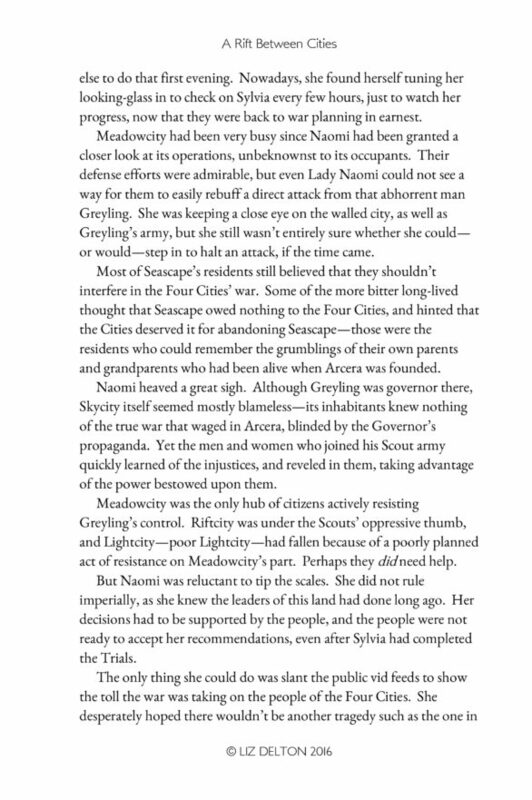 Before the first war in a thousand years, Sylvia Thorne was just a normal sixteen-year old girl, who happened to have one of the most dangerous jobs in the Four Cities. For a thousand years, the Four Cities of Arcera lived in peace behind their protective walls, while the lands between them turned wild and full of danger. 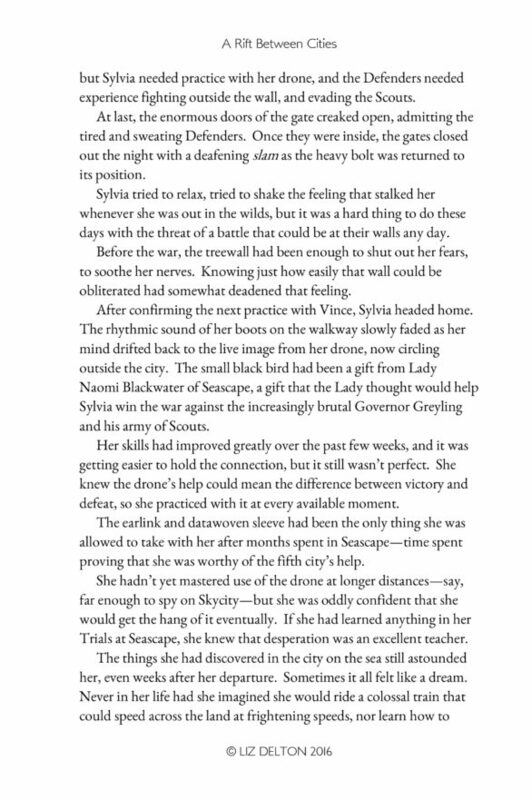 Only the few people willing to brave the wilds will step foot there, and Sylvia Thorne is one of them. Sylvia is used to delivering messages between the cities for a living–and she will soon deliver the message that breaks the peace between the cities, but before that, she gets stuck in Lightcity, waiting for a package to deliver. 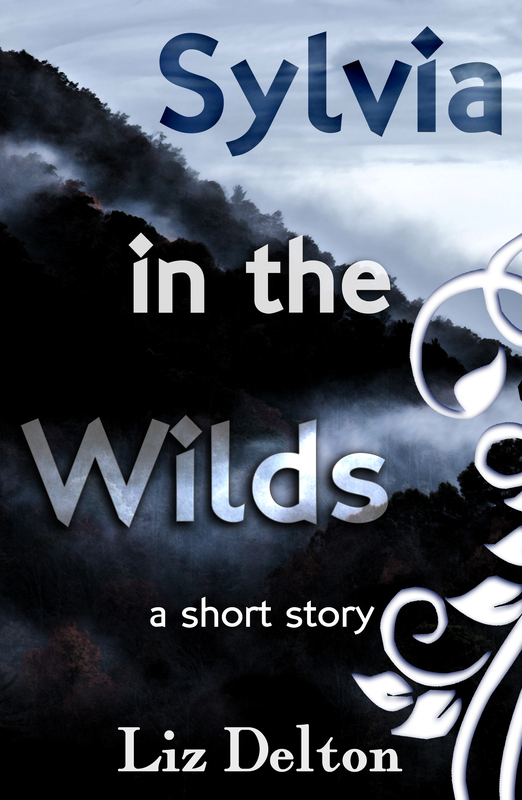 Her wait for adventure isn’t long, when she discovers that a young girl named Maddy has left the city–untrained in the ways of the wilds. 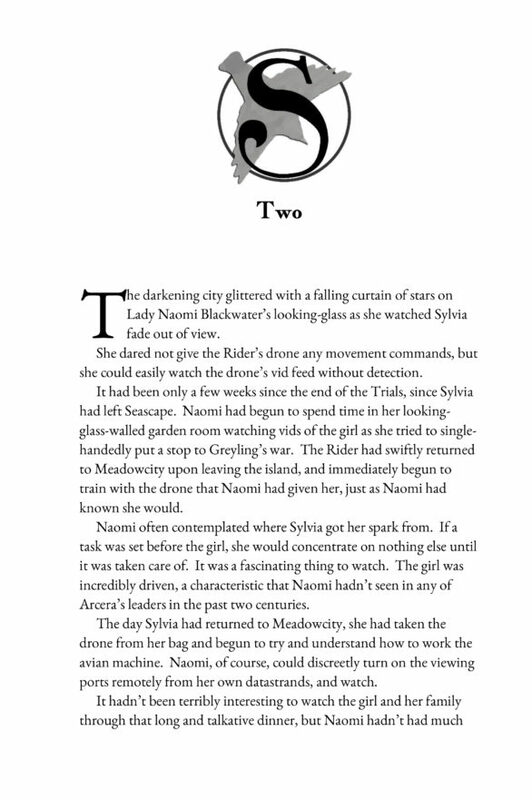 One of the youngest Riders in Arcera, Sylvia feels she must go after the girl and bring her safely back to her sister. When Maddy brings them into one danger after another, desperate to find her missing parents, Sylvia must draw upon her training to protect the both of them. 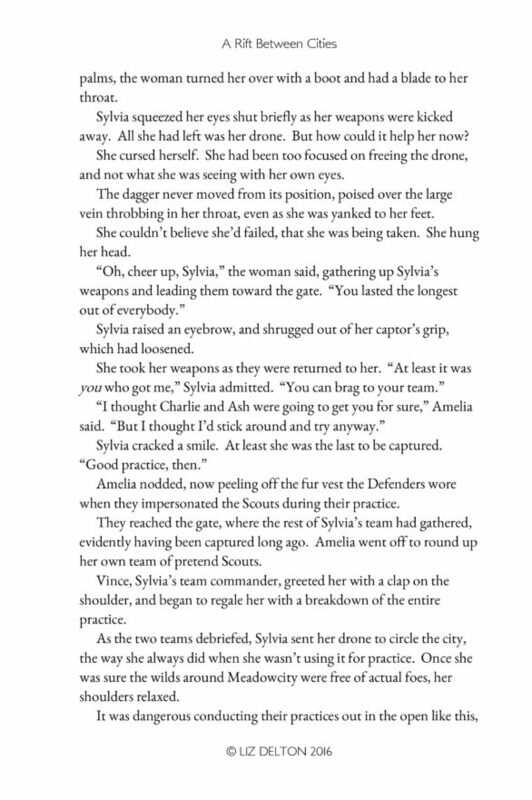 But a wolf pack lurking about is acting strangely, and something seems very wrong in the wilds of Arcera. What do you think? 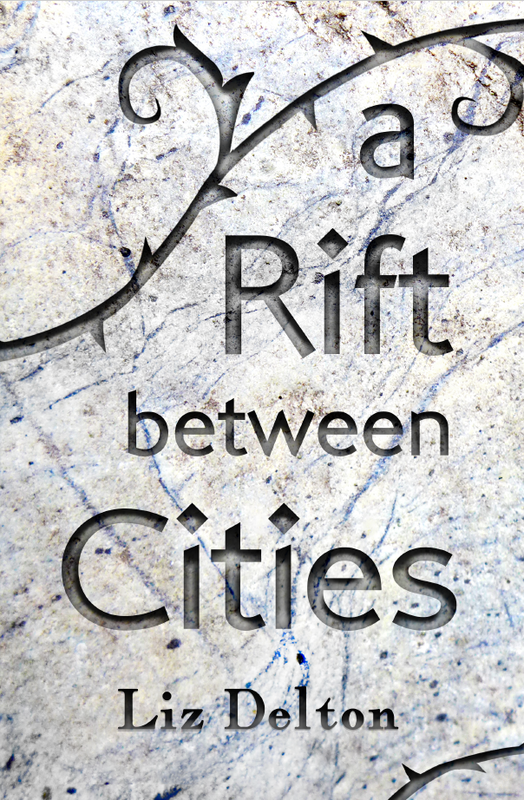 Look for this prequel short story sometime in April or March, depending on how ambitious I am. I hope everyone had a wonderful Thanksgiving! I certainly did; it was the first time I’d hosted, and everything was splendid. I even had someone else to eat pumpkin pie with me! 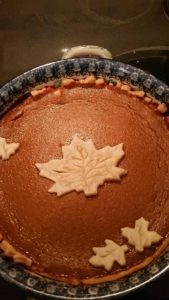 I was pretty sure I was the only one who was going to eat it, but I made it anyway. 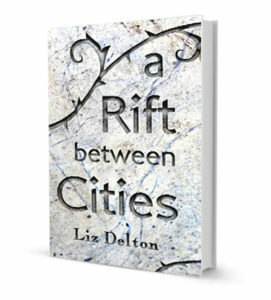 A Rift Between Cities is only two weeks away! I honestly don’t know where this entire year has gone, and next week it will be December. 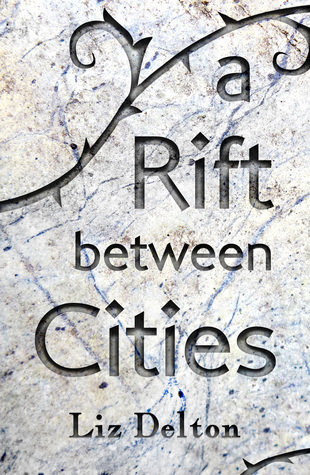 Today I wanted to share the first look into A Rift Between Cities with you, while you are hopefully relaxing at home eating leftovers, as I plan on doing. If you’re in Connecticut, you can catch me at one of these events and get yourself a signed copy!